The tracks went on sale just after 9:30 a.m. Eastern, before Apple's planned announcement of 10 a.m. All of the band's classic albums are now available for download, including "Abbey Road," "Revolver" and "Rubber Soul." Full albums run $12.99 for an iTunes LP, and individual tracks are available for $1.29 each. The entire Beatles box set can also be purchased for $149. Apple announced the arrival of the band's catalog on its website at 10 a.m., with a picture of the "Fab Four" taking up the front page. 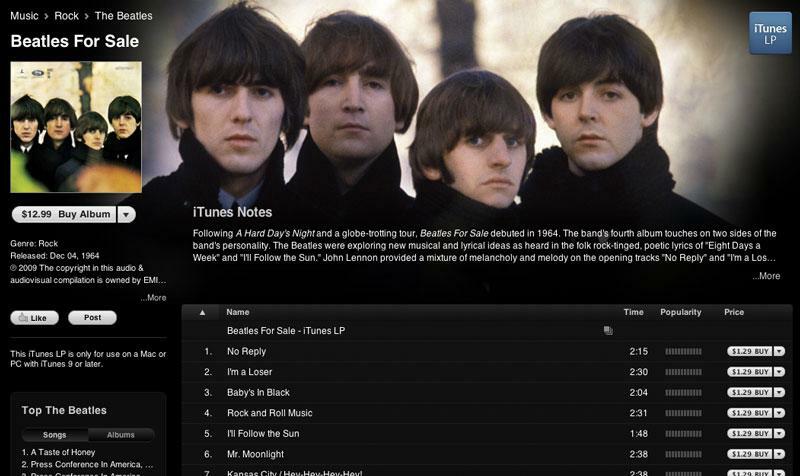 A special section of Apple's website dedicated to The Beatles was also launched. All 13 of the band's remastered studio albums are available, as well as the two-volume "Past Masters" compilation and the "Red" and "Blue" collections. The digital box set also includes the "Live at the Washington Coliseum, 1964" concert film, an iTunes exclusive. Also available on Apple's Beatles site are five commercials heralding the debut of the band on iTunes. One clip shows the band's legendary arrival in America, before concluding with, "In 1964 they came to America, now they're coming to iTunes." "Were really excited to bring the Beatles' music to iTunes," said Sir Paul McCartney. "It's fantastic to see the songs we originally released on vinyl receive as much love in the digital world as they did the first time around." "I am particularly glad to no longer be asked when the Beatles are coming to iTunes," said Ringo Starr. "At last, if you want ityou can get it nowThe Beatles from Liverpool to now! Peace and Love, Ringo." 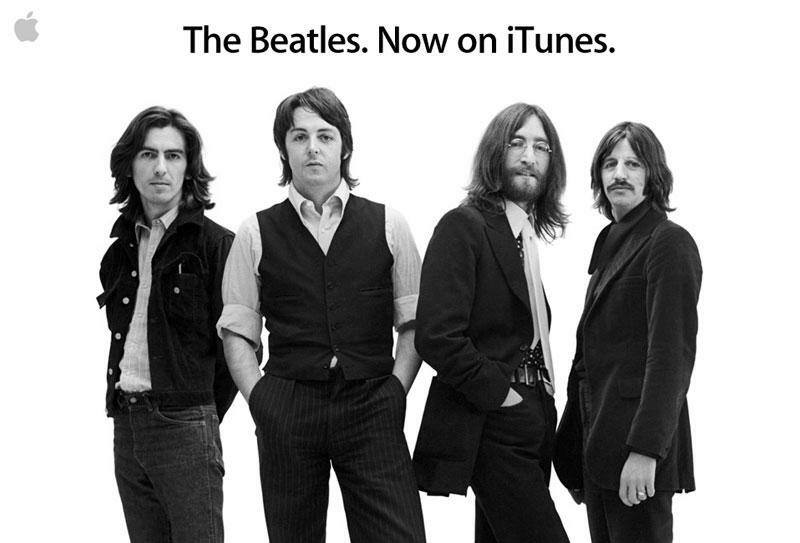 "We love the Beatles and are honored and thrilled to welcome them to iTunes," said Steve Jobs, Apples CEO. "It has been a long and winding road to get here. Thanks to the Beatles and EMI, we are now realizing a dream weve had since we launched iTunes ten years ago." "The Beatles on iTunesBravo!" said Olivia Harrison. "The Beatles and iTunes have both been true innovators in their fields," said EMI Group CEO Roger Faxon. "Its a privilege for everybody at EMI to work with Steve Jobs and with Apple Corps' Jeff Jones and their teams in marking a great milestone in the development of digital music." Media outlets first reported on Monday that Apple would announce the debut of the entire catalog of The Beatles on iTunes Tuesday. Apple had teased an "exciting announcement" for 10 a.m. Eastern, 7 a.m. Pacific. The arrival of The Beatles on iTunes was a long and difficult road, completed more than 7 years after the iTunes Store first began selling music. Apple and the Beatles' parent company, Apple Corp, were engaged in a trademark dispute for years, before it was finally settled in 2007.